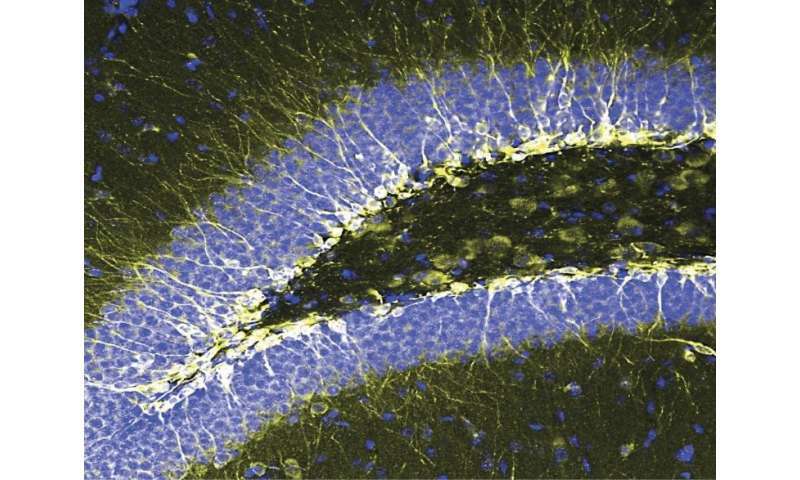 The researchers found that a protein called JNK when active, represses the generation of new neurons in the hippocampus, a part of the brain that controls emotions and learning. By inhibiting JNK solely in newly generated nerve cells in the hippocampus, the researchers were able to alleviate anxiety and depressive behaviour in mice. This previously unknown mechanism brings fresh insight on how the brain works to regulate mood and indicates that inhibitors of JNK, such as the one used here, can provide a new avenue for anti-depressant and anxiolytic drug development. Depression and anxiety are highly prevalent disorders and represent one of the largest causes of disability worldwide. These results are important as many patients do not respond to current treatments and it has long been recognised that new mechanistic understanding of these disorders would be necessary to in order to identify drugs for treatment resistant depression. The research was funded by the EU-funded Marie Curie Initial Training Network r'BIRTH, by the Academy of Finland, Turku Network in Molecular Biosciences and the National Institute on Aging (US). The results are published in the Nature Publishing Group journal Molecular Psychiatry. Researchers used virus tools to find out where in the brain the JNK inhibitor acted to improve mood. They found out the molecule acts to alleviate anxiety and depression by controlling newly born nerve cells in the hippocampus. The image, taken at the Cell Imaging Core, shows these new born cells in the hippocampus, the region of the brain that controls emotions.